Three. That’s how many cot mattresses we’re now the owners of – one for each baby. But do you really need to buy a new cot mattress for each new baby? We’ve recently moved Littlest B from our bedroom into a bedroom with her brother and sister (that’s right, 3 kids in one bedroom!) and one of the things I spent the most time researching is cot mattresses. Should we buy new or is it ok to use her brother’s old one? If we buy new should it be pocket sprung or foam? And what makes one mattress better than another? 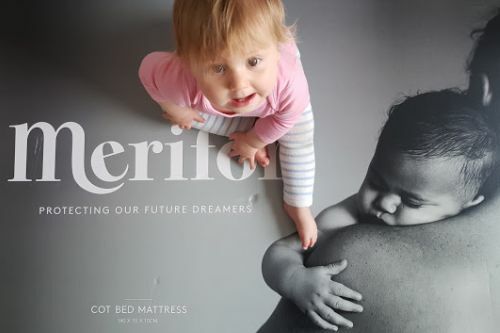 So it was timely when new cot mattress brand Merifor got in touch and offered to send us one of their anti-allergy cot mattresses to try out. 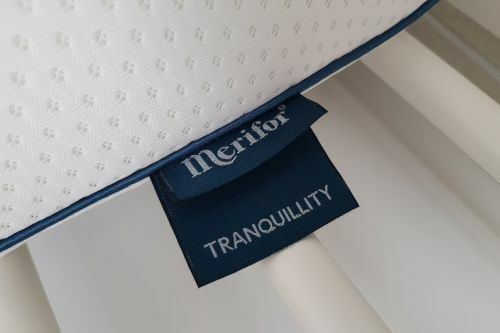 If you haven’t heard of Merifor before they’re the most scientifically advanced anti-allergy cot mattress brand in the UK, and the first to receive the Allergy UK seal of approval. All Merifor’s mattresses (there’s three to choose from: Tranquillity, Serenity – which has been awarded a Which? Best Buy – and Felicity) are heat regulating, 100% waterproof and 100% vapour permeable. They’re made from biocompatible and anti-bacterial fabric, allowing babies skin to breathe – perfect if your baby has a skin condition such as eczema like Littlest B. And here’s the scientifically advanced bit: Merifor mattresses are made using silver ion technology to kill germs and bacteria, and probiotic nano technology to defend against bad bacteria. What’s more, the fabric is moisture wicking, pulling moisture away from your baby as they sleep. 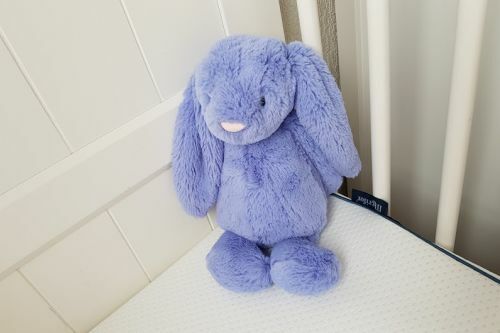 I took the chance to ask Merifor’s creator Jan van der Velde, who’s been pioneering health sleep for more than 25 years, to give me the low down on exactly what it is we should be looking for when it comes to cot mattresses, and here’s what he said. 1. Buy a brand new mattress for each new baby. 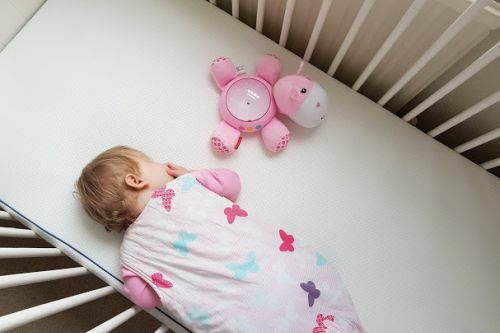 “It’s of upmost importance to buy a new mattress for each baby,” says Jan. “It’s important to know that the mattress is clean and hygienic to give your baby the best possible sleeping environment from the start. 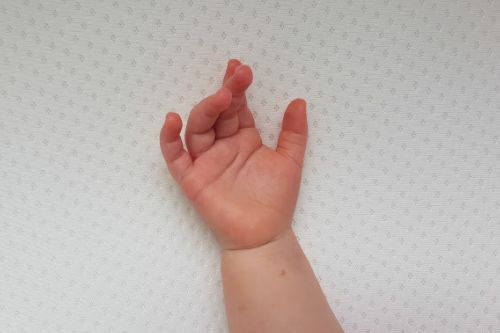 (A recommendation supported by The Lullaby Trust). 4. 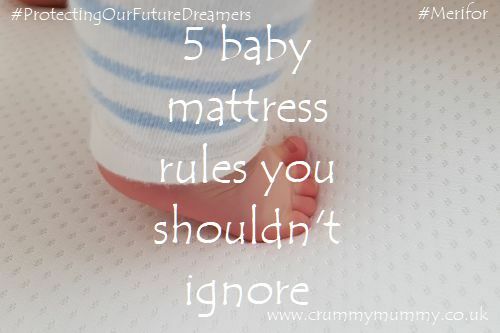 Make sure the mattress fits snugly into the cot base. 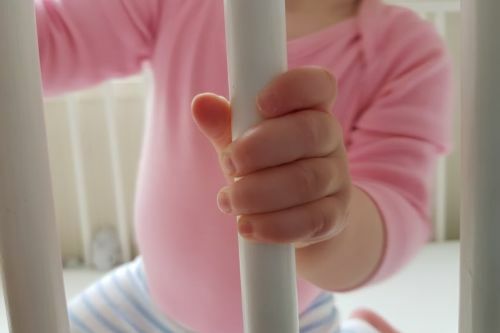 There should be no more than a 3cm gap between the mattress and the cot frame to avoid danger of entrapment. 5. Look for four key qualities. “The hallmarks of a good quality and long-lasting mattress are resilient comfort layers, heat adaptive technology, anti-allergy protection and a wipe-clean sealed inner cover,” says Jan.
Merifor very kindly sent us a mattress from their Tranquillity range (£250), featuring a twin interior of foam and micro pocket springs. Unlike other mattresses we’ve had in the past it came in a box, so I knew what was inside had been perfectly protected and not bashed about in transit. What struck me immediately was the quality of the fabric. It’s piped around the edges in a contrasting blue and white and the cover itself is super soft and durable. 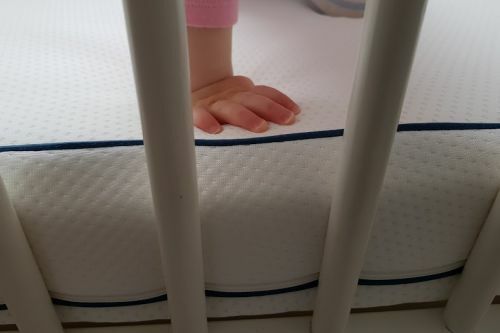 The mattress fit our cot bed far more snugly than the two we’ve had previously, and what with Littlest B having eczema I can be confident the fabric won’t irritate her sensitive skin. 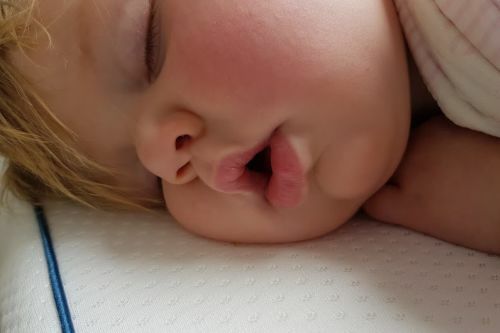 The other issue that’s always at the back of my mind is that she sleeps on her front – and the advice is to always put babies to sleep on their back. I do put her down on her back, but she rolls over within seconds, bum in the air and fingers in her mouth. Which makes it more important than ever to have a mattress I know I can trust. 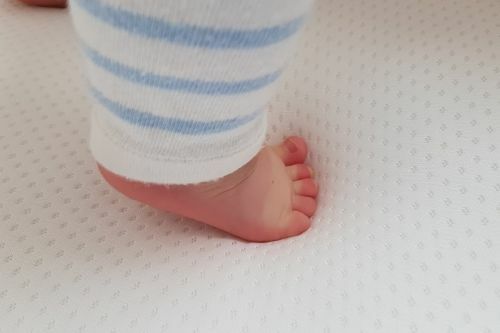 At £250 admittedly this isn’t the cheapest mattress on the market, but what you’re buying – in addition to a mattress that will last the lifetime of your cot or cot bed – is the peace of mind and confidence that your baby is being looked after by the very best. 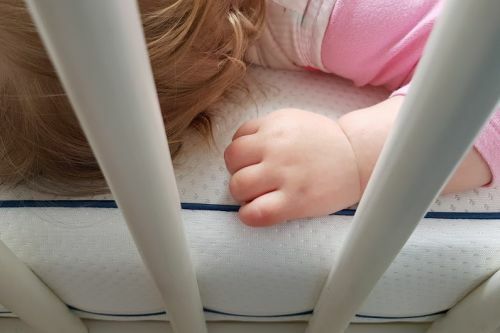 Have you bought a cot mattress recently? What was the most important thing you looked for? We were sent a Merifor Tranquillity mattress in exchange for this post. As always all opinions are based on my own honest experience and I would never endorse a product I don’t truly believe in. I think it’s always safety first over what a mattress looks like….This one sounds fantastic. Great tips and I love the sound of your mattress. I didn’t have a clue when I bought my first one so this post has opened my eyes to some good points.